Follow these suggestions for creating healthy eating habits at home and on the road. One thing that most parents have in common is the struggle to insure that their kids eat healthy foods. For many, it seems like an endless battle that they are not sure they will win. After all, while they try to teach their kids good eating habits, they are competing against multi-million dollar advertising campaigns from companies selling unhealthy foods and snacks. According to the American Academy of Pediatrics (AAP), proper nutrition for kids begins with making wise food purchases at the grocery store. The AAP also reports that teaching children from a young age about proper nutrition will create habits that can last a lifetime. 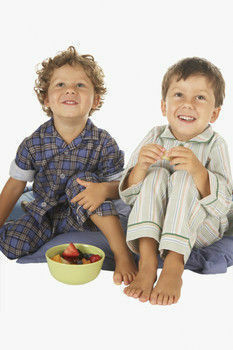 Children need a variety of foods in order to build healthy bones and stay healthy. However, many parents find it difficult to get them to eat those healthy foods. One of the more prevalent habits is what the National Institutes of Health (NIH) refers to as a “food jag,” where children get hung up on wanting to eat the same foods repeatedly and are afraid to try to new items. They report the behavior is normal, doesn’t usually last long, and is often a way of expressing independence. To remedy the situation, they suggest parents should not worry about their child not eating much at one meal since they usually self-regulate their eating and will fill up at the next one. If the child is still growing properly and, he or she is likely still meeting their nutrition requirements. Parents should always set a good example by following good eating habits. Meals should be offered that include different colors and textures and are eye-appealing. Parents should start introducing new tastes from a very early age, around six months, in the form of a variety of baby foods. Children should never be coerced, punished, or forced to eat foods. Parents should encourage them to try at least one bite to see if they like it. High-sugar snacks should be avoided because they will prevent the child from being hungry for meals. Avoid labeling the child. If a child has tried carrots one time and didn’t like them, that doesn’t mean they don’t like carrots. 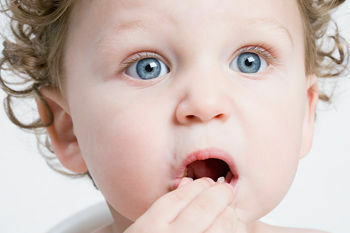 It often takes multiple times of trying a food for a child to acquire a taste for it. Always provide scheduled meals and snacks; they are important to growing bodies. Snacks should be healthy, in the form of fruits, vegetables and whole grains. Offer small portions, especially of foods that are new to a child. When they see a plate filled with food, it can be intimidating and may make them not want to try it. Be consistent about offering healthy and nutritious foods eat each meal. When children see that it is part of the family routine, they will learn to accept it and will carry their good eating habits into adulthood. Have older children help with food preparation, which will get them more interested in eating what they helped to make. Only offer one new food at a time, and be patient. It may take a while for them to like the new item, but parents should still keep offering it.